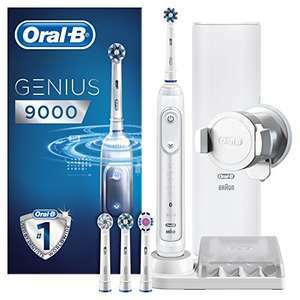 The flagship Oral-B Genius 9000 electric toothbrush at its lowest ever price at Amazon - all colours reduced at the time of posting. White is also available at Warehousedeals, 'Like New' for £63.65 (£79.56 - 20%). Currently £89.99 in Boots, but you get £10 back in Advantage Card points, so works out at £79.99.